NYC, 11/09/2018, 6:00PM. In War and Peace: Development of Independent Reporting in (Post-)Yugoslav Space. The role of media in creating and disseminating political spin, propaganda, and “patriotic reporting” as tools for promoting and perpetuating conflict during the 1990s Yugoslav wars of secession is well researched in recent scholarship. However, it is impossible to claim the same in regard to the independent media. There is a noticeable lack of scholarship on the role the independent media had in challenging the war narratives, advancing accurate reporting, and even forging peace during the tragic Yugoslav conflict. 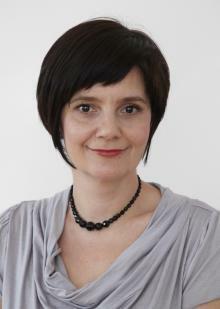 Marija Šajkaš’s lecture aims to fill this gap. She will discuss the formation of the independent media in the countries of the former Yugoslavia. She will analyze the early connections made on opposing sides such as Alternative Information Network in order to demonstrate that the independent media and their journalists played the essential role in countering hate speech. Finally, she will point out how crucial and relevant is their activity in local and global media landscape today.